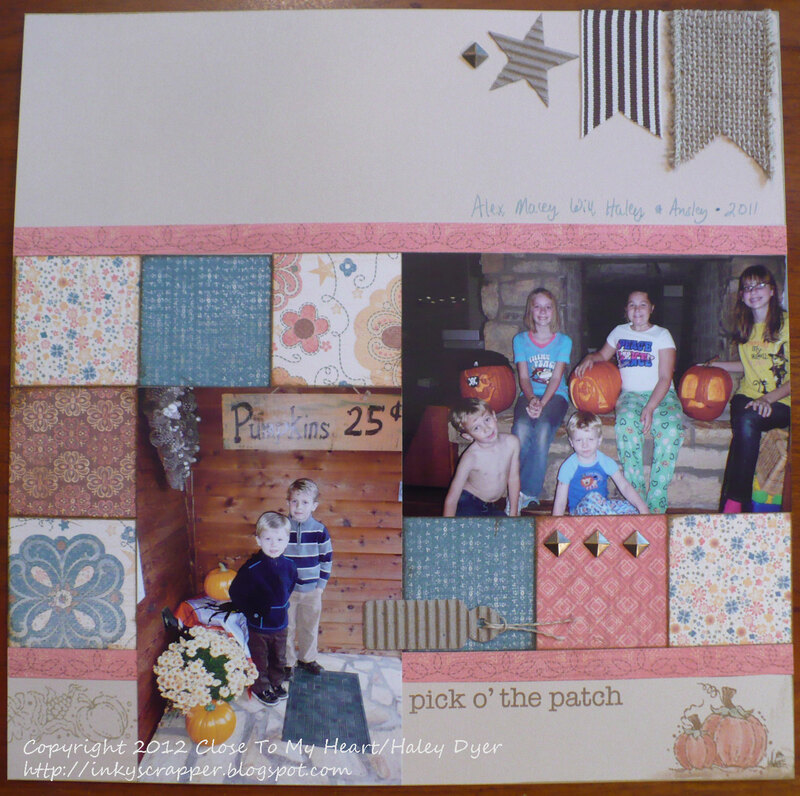 The Clementine paper pack seemed like the perfect pairing with the Fall Favorites stamp set, and I love how they work with my photos. This beautiful sketch is from the new Make It From Your Heart, Vol. 1 magazine. If you're a scrapper and card maker, you're going to want this guide. Best of all, it's only $7.95! 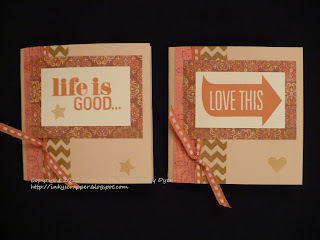 You can see the stamping better here on this close up of the left page: After stamping the "fall" sentiment, I inked up "Favorites" only from the tag to stamp beside it. 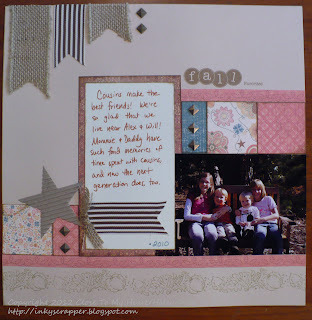 Also, I repeatedly stamped the outline stamp to make a border along the bottom. On the right page, I continued the border and then stamped the other sentiment and the pumpkin. I used a combo of inks and markers with a blending pen to color the pumpkins. Aren't my pumpkins sweet? We are so blessed that the girls' cousins all live nearby! 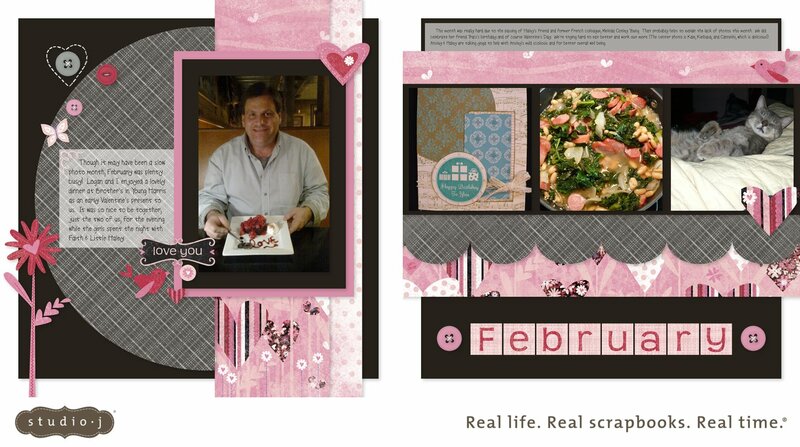 If you'd like to create your own version of this layout, make plans now to attend my scrap class on Sunday, 9/23! 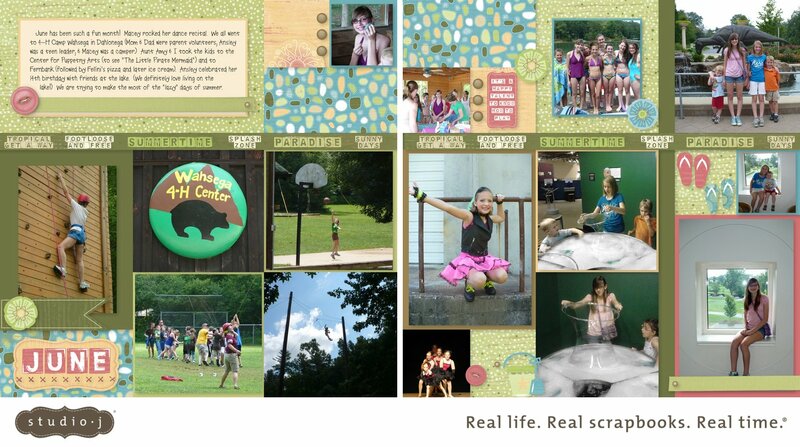 You'll be able to customize your layout for summer or fall. Let me show you how! If you have time, I'd love to know that you stopped by! Now go see what Krista created! You are quickly running out of time to get the beautiful August stamp of the month, Baroque Borders! 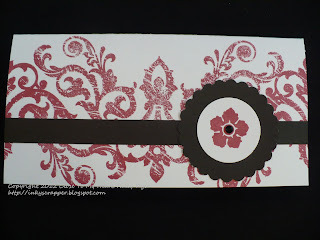 For these two 3"x6" cards, I stamped one of the corner flourishes in the center, then flipped it over to stamp on either side to create this pretty pattern. How do you like our new Ruby color? 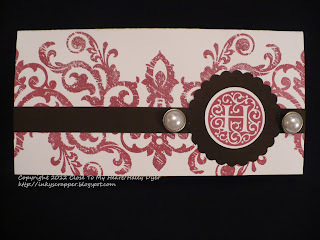 I used my new Monogram "H" stamp for the medallions. (They are available in every letter for only $2.95 each!) I used two of our new pearl badge buttons to accent the card. Here's the same card but instead of my monogram, I used the flower from the Bohemian Alphabet set with a new black sparkle in the center. 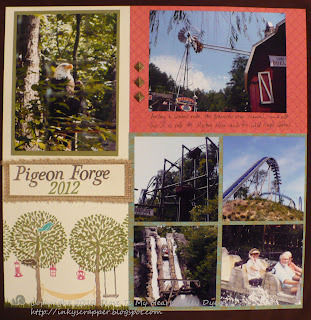 The August stamp of the month is only available for a few more hours, so get yours HERE. My birthday came and went this spring with a BANG! My sweet husband surprised me with a birthday dinner with family and friends at one our favorite local restaurants. 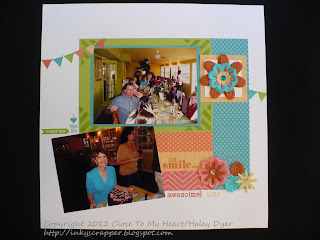 I had so much fun and was so overwhelmed by the love I felt! 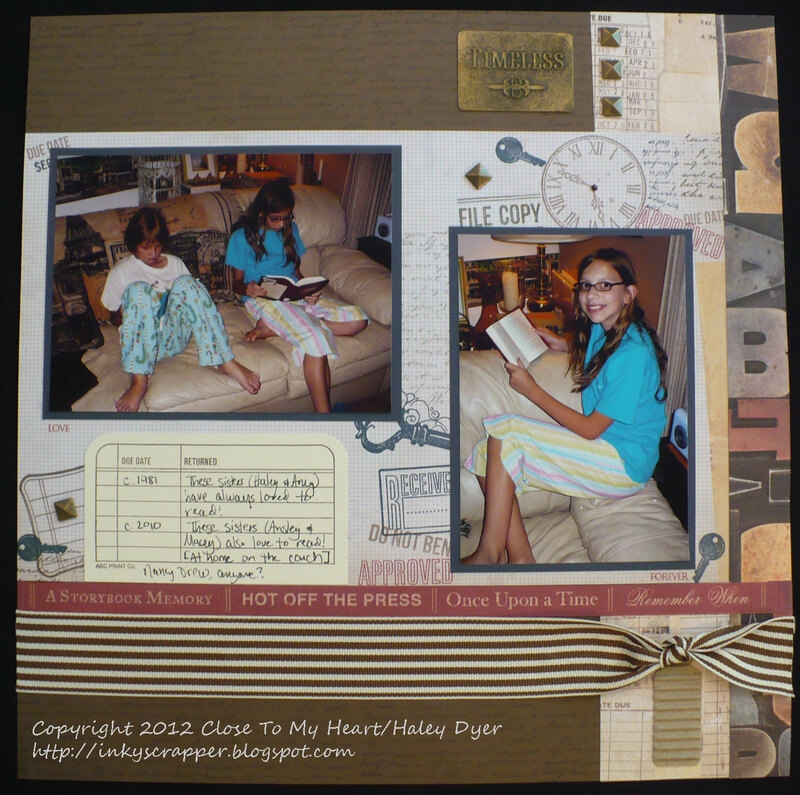 This layout sketch is from Close To My Heart's new Make It From Your Heart, Vol. 1 how-to guide. At only $7.95, you are definitely going to want your own copy! 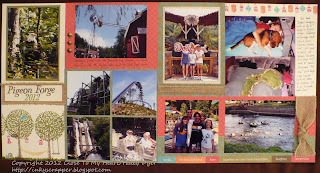 It includes 19 layout sketches and several different card designs. 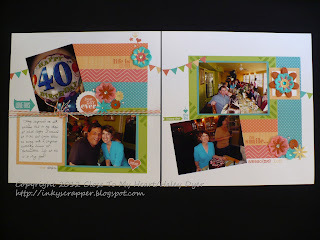 My photos helped to inspire this vivid color palette of Lagoon, Pear, Sunset, Creme Brulee, and Smoothie. Yummy, right? 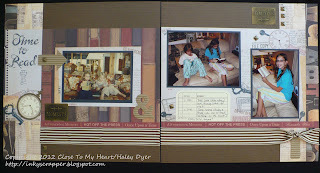 I used the current It's Your Day double-D special offer stamp set. Doesn't that little triangle make cute banners? 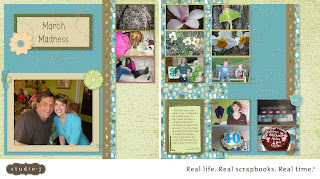 I layered on the Just Blooms Paradise paper flowers, sparkles, and some baker's twine too. The rest of the pictures (and there are a bunch!) 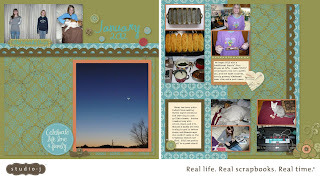 will go in a photo pocket storage page between the two pages of my layout. 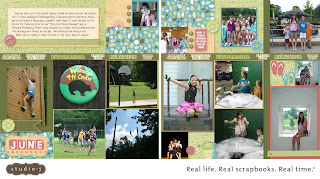 Studio J online scrapbooking made it possible for me to scrapbook our first day in a flash! 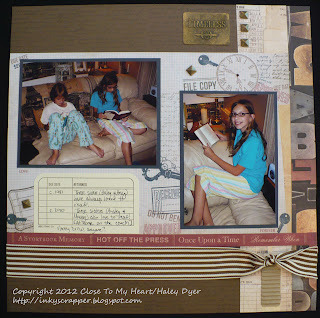 This layout uses the cool new Scholastic collection. Since the rich Outdoor Denim blue and Ruby red didn't match my pictures very well, I chose to stick with the more neutral patterned papers in the collection. If you need some great ideas for the student or teacher in your life, be sure to check out this week's H2H Design Team inspiration. They've got some beautiful projects to share with you! 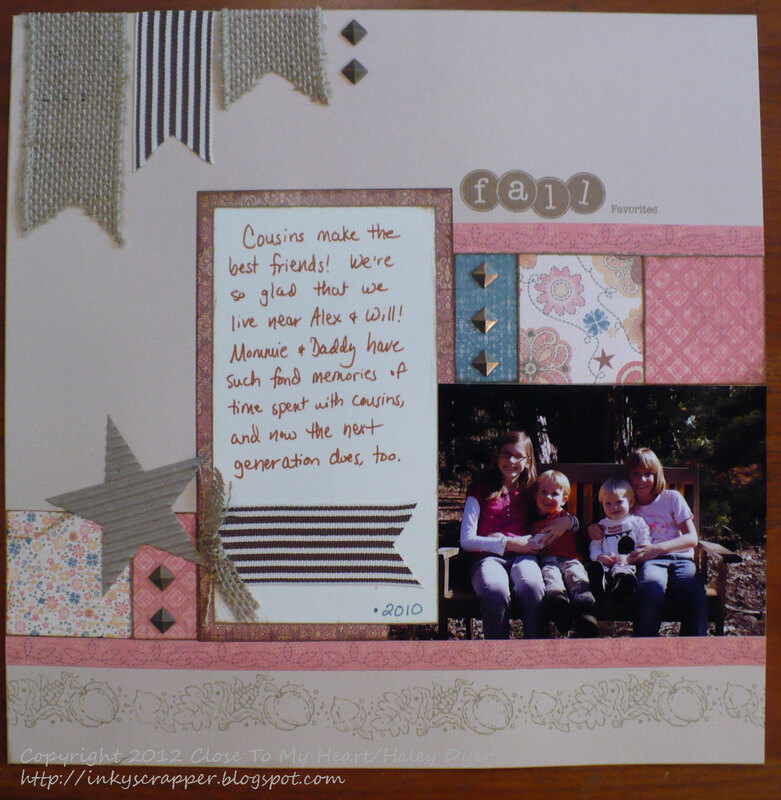 You'll be at the head of the class if you join us and share your back-to-school projects. 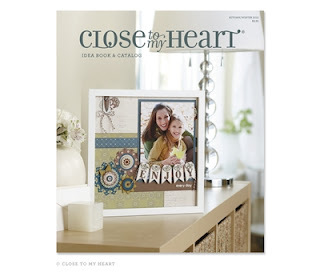 Just remember to use some Close To My Heart products in your submission to get an A+ on this assignment. Don't be tardy! Link up by the end of the month. See you back to school at H2H! Sounds delicious, doesn't it? 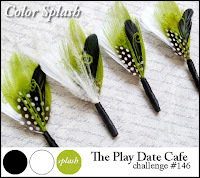 The current challenge (#146) at The Play Date Cafe is to use this color story to inspire your creations. There's just something about little cards that strikes my fancy! These two began with 3"x6" pieces of Champagne cardstock folded to make 3" square side-fold cards. 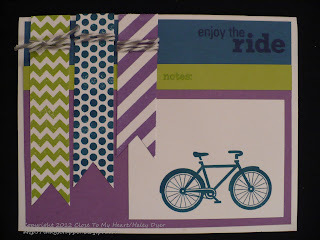 After stamping the chevron bar from the It's Your Day National Stamping Month double-D-size stamp set in Saddle, I added a piece of the zip strip from this pretty Clementine paper. 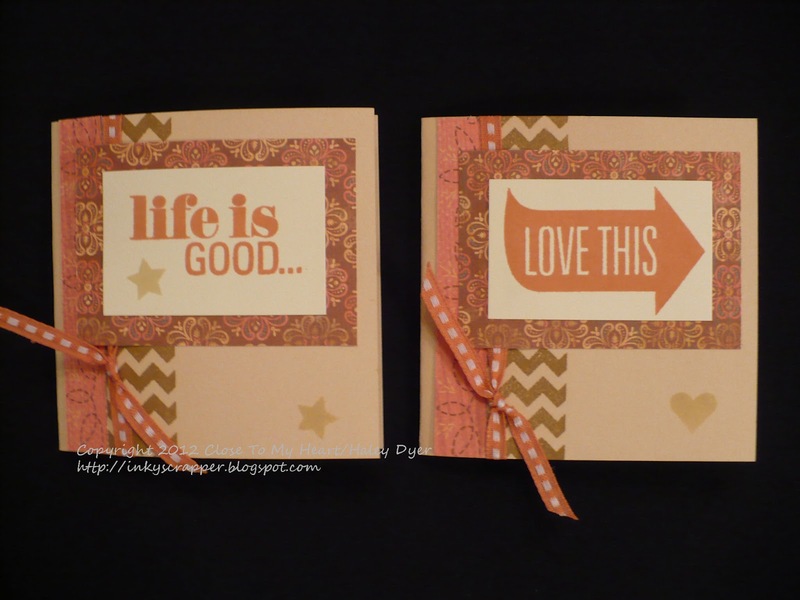 Both sentiments are stamped in Sorbet, and the little accent stars and heart are Champagne. A little Sorbet ribbon finished them off. Life is definitely good now that the weekend is officially here! It has been a very hectic week between band practices, piano practice, the start of dance class (two times per week this year), open house for me, band parents meeting, DKG meeting, school, and homework... Fortunately not all weeks will be this crazy. No matter what, I definitely love this life! The National Stamping Month special offer, a double-d stamp set called It's Your Day, has been so much fun to play with! 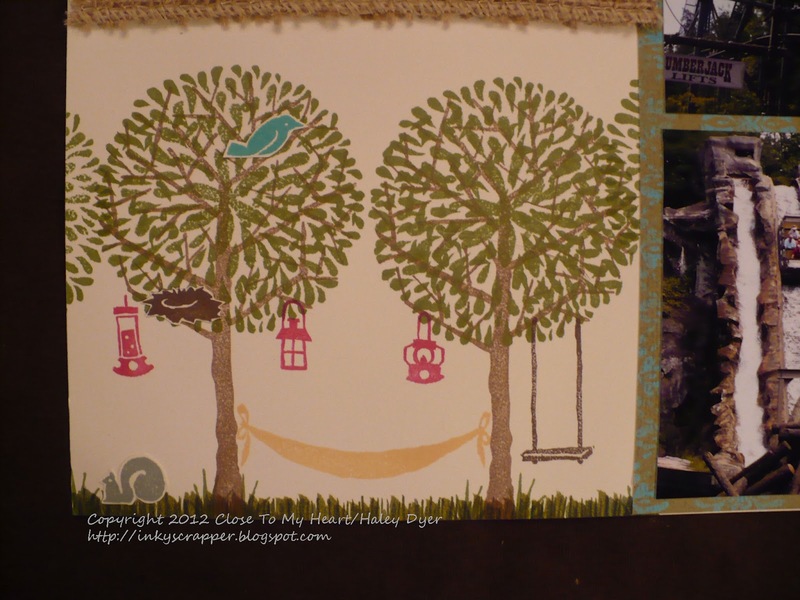 Here I've paired it up with the Clementine paper pack and used a new card sketch from the affordable "Make It From Your Heart, Vol. 1" how-to book. For the butterfly card, I stamped the polka dots with Twilight (thinking of the sky). 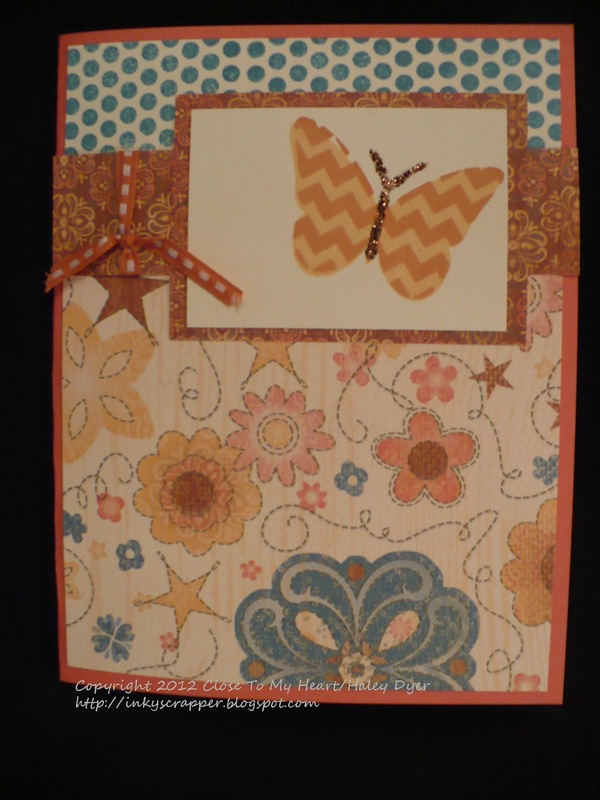 The base of the butterfly is stamped in Creme Brulee and the chevrons are Sorbet. 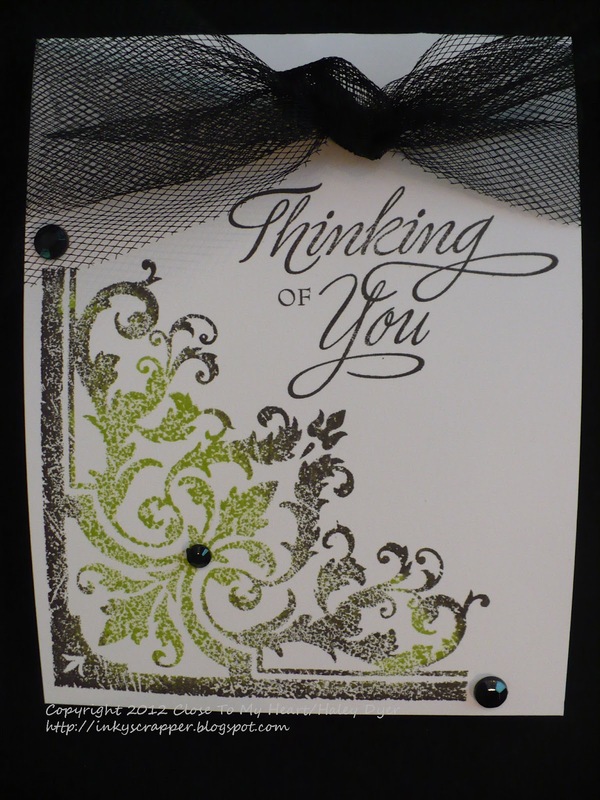 Thanks, Joan, for asking about a little bling for this card and reminding me of how lovely the Bronze glitter glitz gel is. 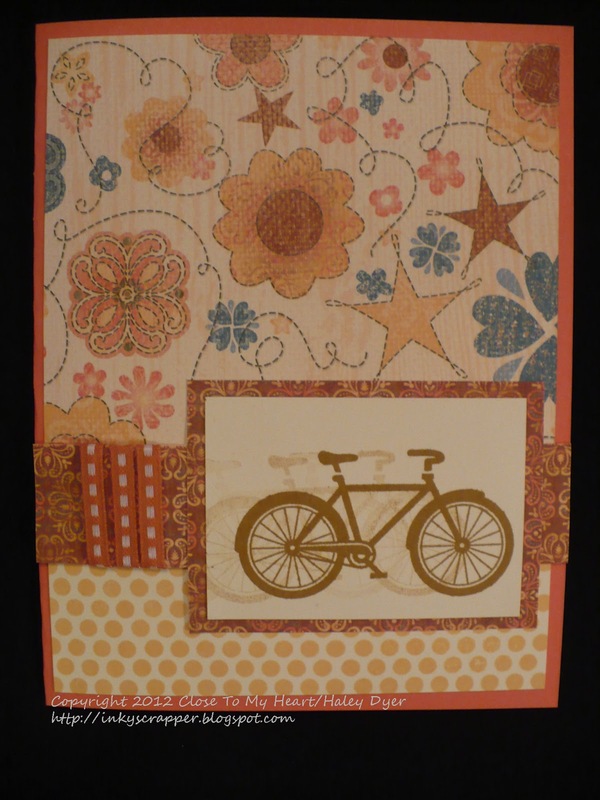 This card uses the same elements except that I flipped the sketch, stamped the polka dots in Creme Brulee and the bicycle in Saddle, one of Close To My Heart's new colors. Do you see the generational stamping to give the bike some movement? To keep this card a bit more on the masculine side, I wrapped the Sorbet ribbon around the B&T strip instead of tying it in a knot or bow. 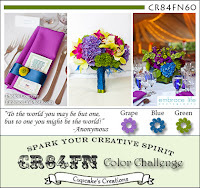 This week's Color My Heart Color Dare challenge #13 is to use Twilight, Sorbet, and Creme Brulee. 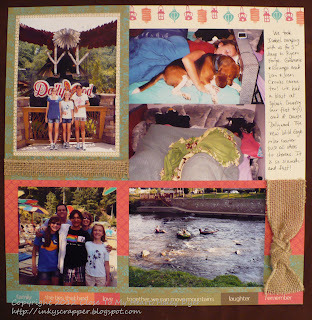 I'm going to get "extra credit" since I used the new Make It From Your Heart, Vol. 1 how-to guide. 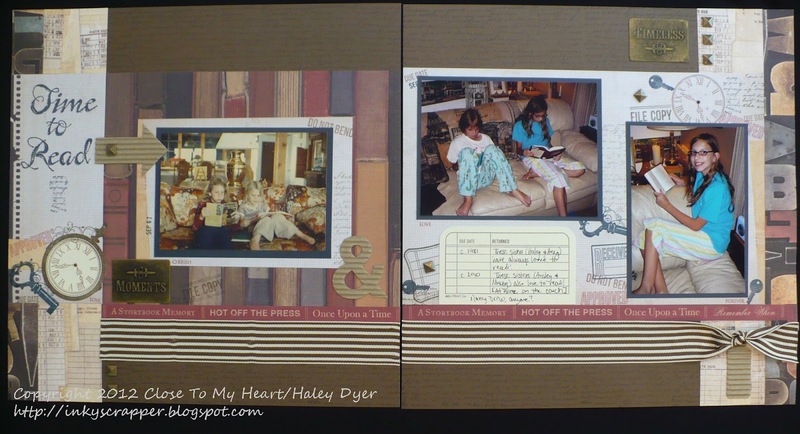 The It's Your Day double-d stamp set is only available until the end of September, so be sure to get yours soon! It's only $5 with a minimum $35 purchase. If you don't have a CTMH consultant, feel free to shop HERE. Sharing this because I love ya! 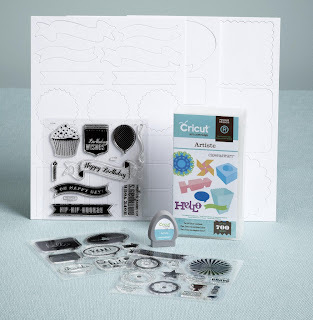 Go enter Craft Gossip's CTMH/Cricut Artiste giveaway for a chance to win the awesome ARTISTE collection! 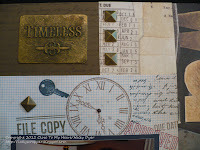 When Deb announced that the August Scrap Our Stash challenge would be "time will tell," I knew that I wanted to use my now-retired Close To My Heart stamp set, Key Moments, with its clock and keys. 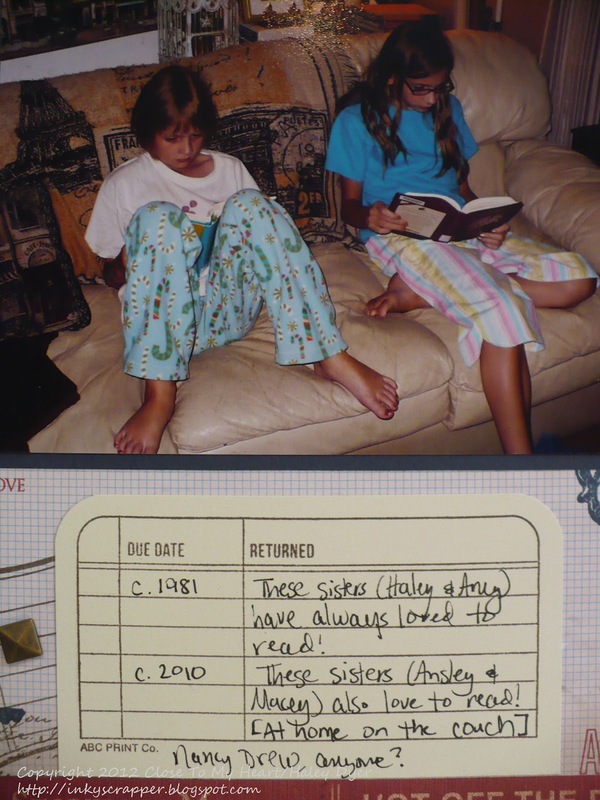 It took me a bit to find some pictures to show the passage of time, but the one of my sister and me reading really jumped out at me. 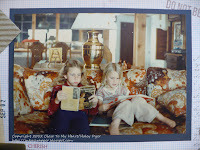 I found pictures of my girls also reading and a layout was born. This layout uses a great sketch from the CTMH Magic how-to guide. 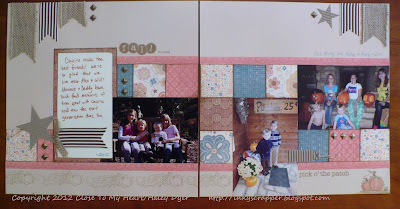 I started with the NEW Scholastic paper pack, plus the NEW Approved stamp set. Of course in keeping with the theme of Scrap Our Stash, I used my Old World Alphabet and Universal Backgrounds stamp sets too. 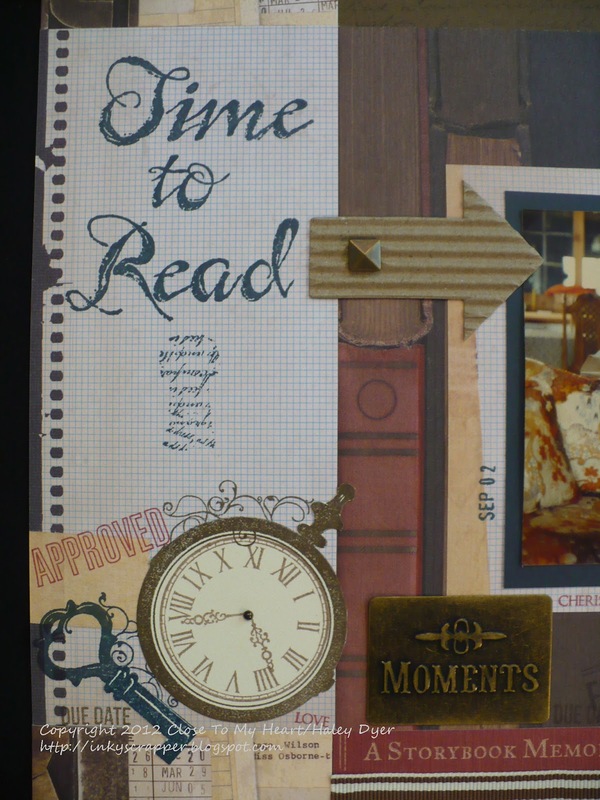 The embellishments are also a mix of old and new: Timeless Charms (retired), Milestones corrugated cardboard shapes, Durables Studs, and Dark Chocolate striped grosgrain ribbon. My sister and me, circa 1981. I have no idea why my cheeks were puffed up like that! 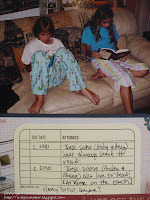 I must have been thinking hard, trying to solve that Nancy Drew mystery. 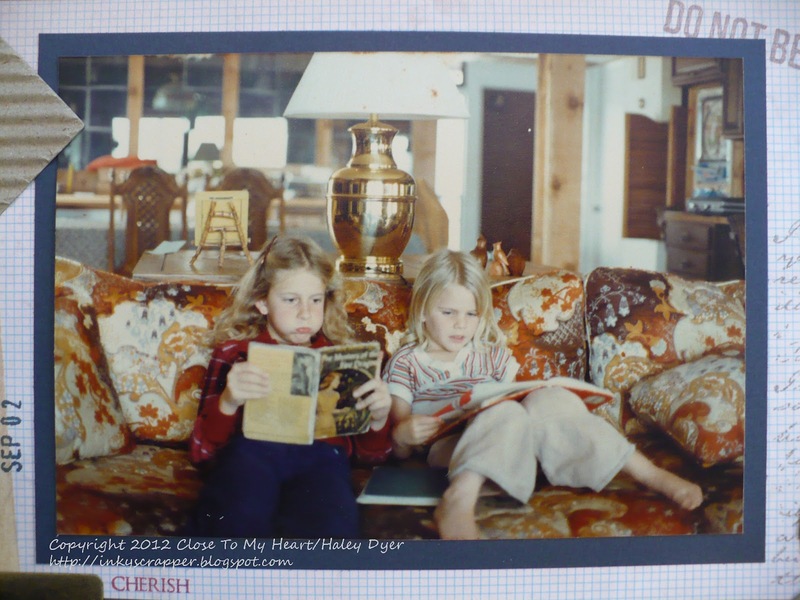 My girls also love to read- anywhere and everywhere! We seem to have books everywhere around the house. 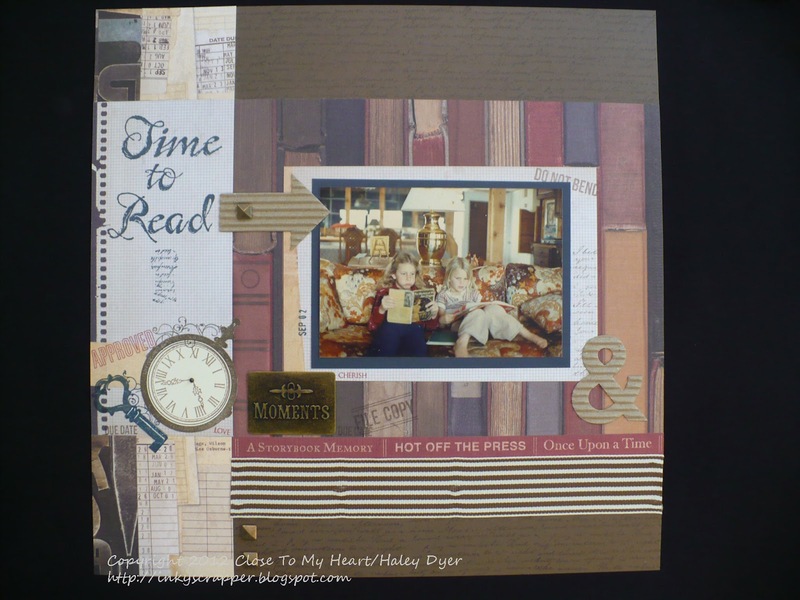 Now, we challenge you to Scrap (Y)our Stash and share your timely project with us! 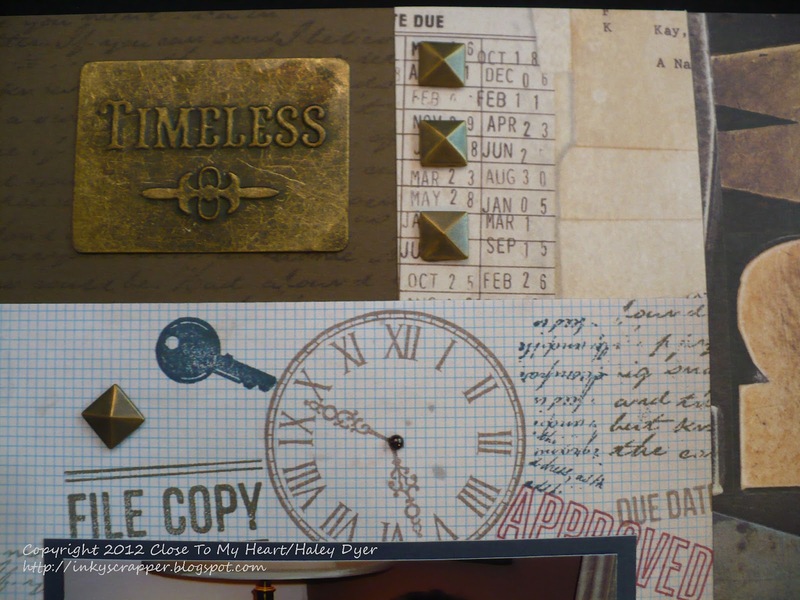 National Stamping Month is right around the corner, and Close To My Heart is offering a really cool "Double-D" stamp set, It's Your Day, for the occasion. This two-sets-in-one special offer begins 8/15 and runs through September. When you make a $35 minimum purchase, you can get this great stamp set (well, actually, two sets) for only $5! 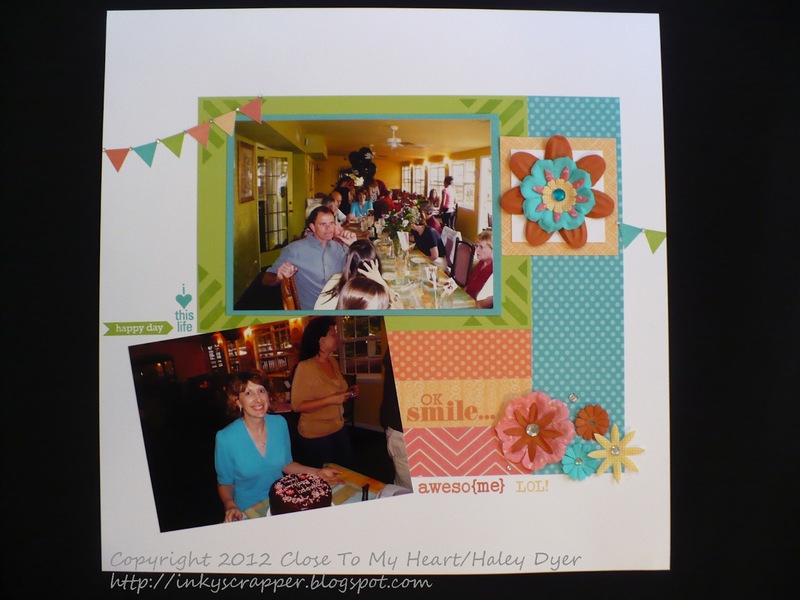 Check out what my group of talented consultants has created for you on this National Stamping Month blog hop. 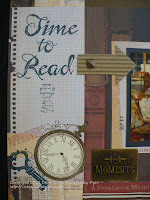 If you're already hopping, then you've arrived from Sheila Bennett's blog and you'll visit Melinda Everitt next. 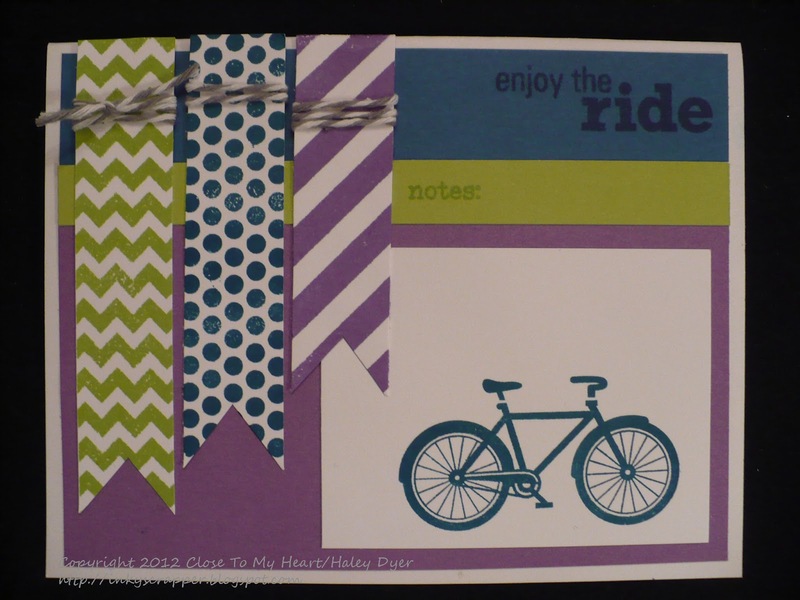 As soon as I saw this set, I was drawn to the bicycle image. (My brother is a cyclist.) I had fun with this bright and cheery color combo inspired by the CR84FN 60 color combo. 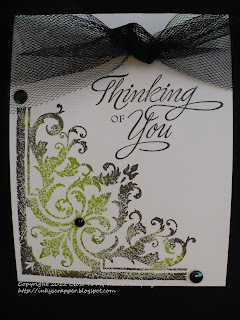 I only used Gypsy, Pacifica, Pear, and White Daisy card stock and inks, plus the stamp set to create this card. A little Grey Wool baker's twine finishes off the banners. My second card uses a simple technique to make "motion." 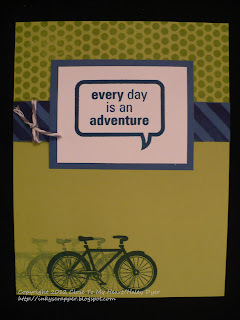 Again, I only used cardstock, ink, and the stamp set to create all the texture that you see. This time I stuck with Pacifica and Pear. Those of you coming to my card class this Saturday will get a chance to play with this cool set! 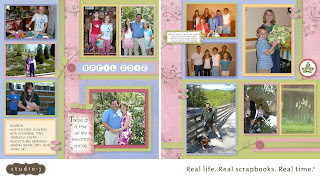 Thanks for checking out my projects. Be sure to come back for more! Now go see what Melinda has made. I knew that I wanted to use my summer-y Trees & Things stamp set, and the Stella paper pack looks great with our pictures from our camping trip to Pigeon Forge, TN. 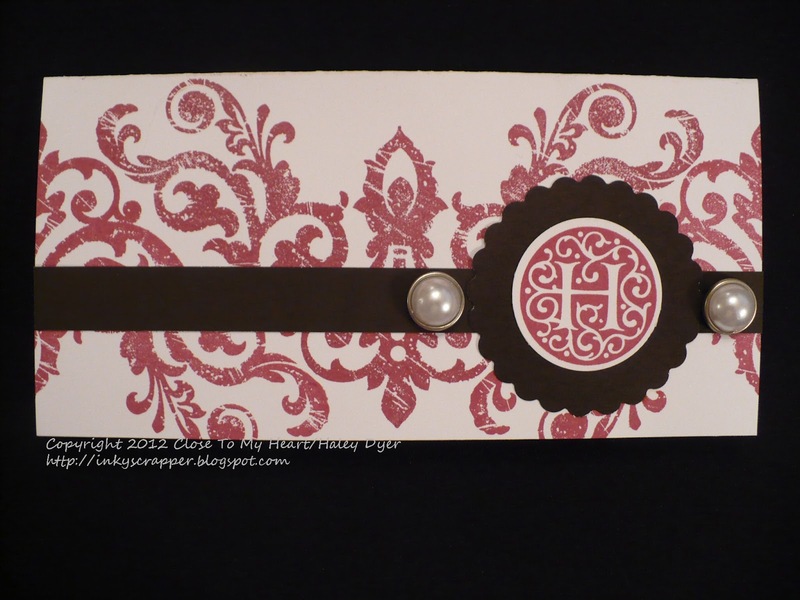 I am loving the new burlap ribbon! Here's a close up of the hammock scene I created with the Trees & Things set. Now it's your turn to share your animal project with us at H2H! Be sure to check out what our Design Team has created for you this week. Remember to use some CTMH products on your projects. Enjoy those dog days! 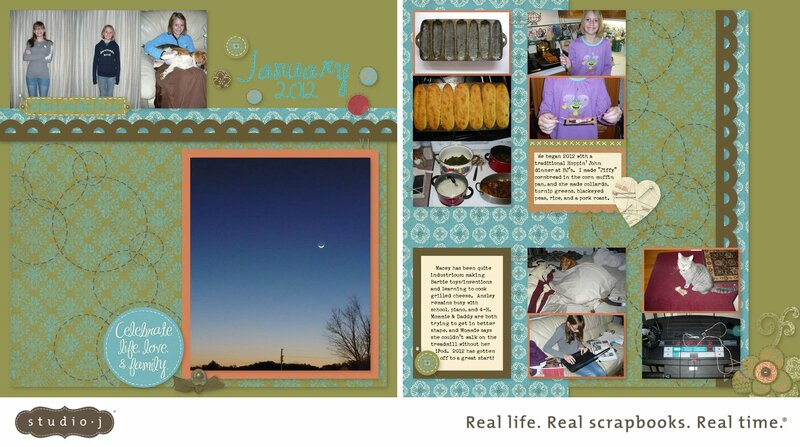 Last year, I made a commitment to make a layout of each month of the year which I am continuing into this year too. Why didn't I think of this sooner?!? LOL I absolutely love having a place for the every day and the special events. 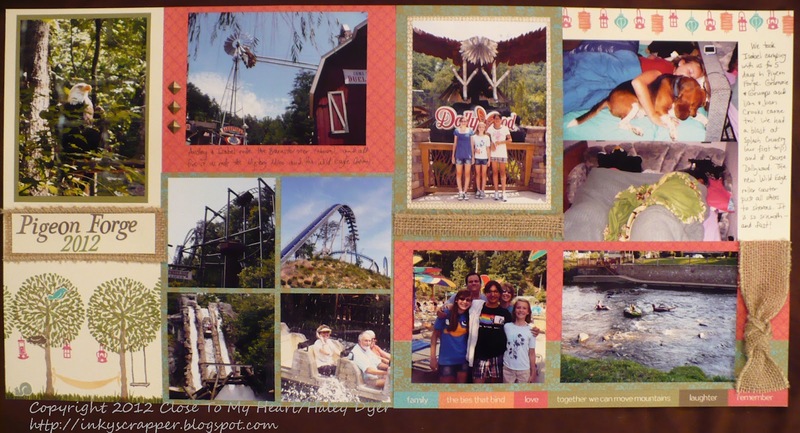 (Each daughter also has a series of albums, plus I make travel albums too.) I may even have to go back and make albums of years past! I've chosen to make these yearly albums in Studio J online scrapbooking because it is so fast and easy to do. (Just click on the link to try it for free!) The new Express Collections could make this process even easier. Who would like to get togegther to learn more about Studio J? I'd like to have a "how-to" evening in September. 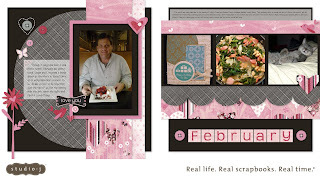 When I saw the La Belle Vie scrapbooking workshop on the go kit, I knew that I had to have it! 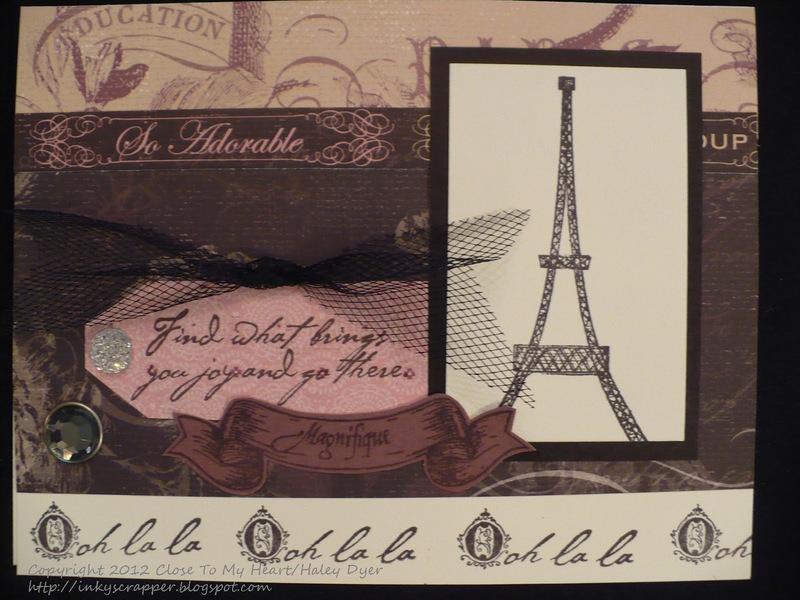 I'm a former French teacher, and I love all things French. 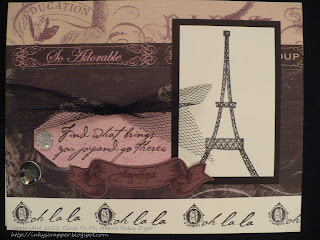 Not only does the stamp set in the WOTG kit include an Eiffel Tower image, it also has a beautiful bicycle, a lampost, and several beautiful sentiments. The glitter gem on the tag is one of the embellishments in the kit. How do you like our new black tulle ribbon? I actually cut the ribbon in half (to make it narrower) and then tied it in a knot. 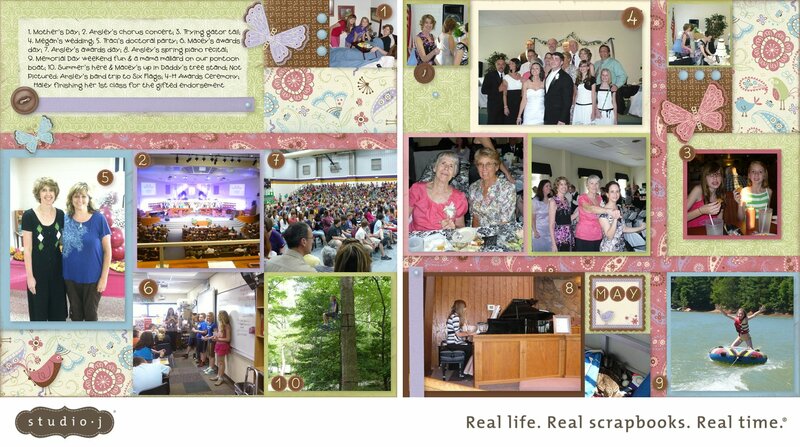 I hope that my card captures the spirit of la belle vie (the beautiful life)! I am really having fun with this kit and will be showing you more of it- and more new products from other kits- so come back often. Now go see Kim's creation! P.S. 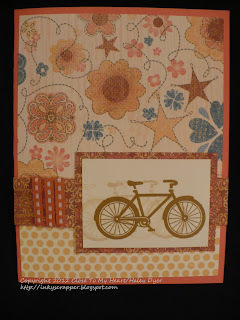 This card is one that you can make at my card class on 8/18! Exciting August CTMH News & Specials! Sign up to become a Close To My Heart consultant this month and receive a beautiful bonus damask tote bag FREE! You now have two kit choices available: the $49 Essential Kit or the $99 Master Kit. 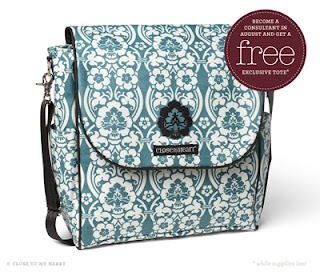 I'd love to share the consultant opportunity with you! 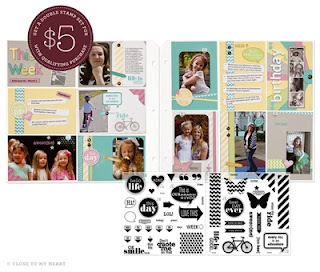 National Stamping Month will begin early (Aug. 15) with the opportunity to purchase the fun and funky "It's Your Day" Double D-stamp set for only $5 with a minimum $35 order. I will be teaching a card class on 8/18 using several of these special offers, and if you live nearby, I'd love for you to join us! You can access all of these specials by visiting my CTMH website. Contact me to learn more!